Real Tadpoles - These have taken a long time to develop, getting the materials right to produce exactly the right action, but now we think these are just about perfect. The body is actually made of soft plastic and the tail from a small sprig of maribou. On a slow or fast retrieve these move just like a genuine tadpole with the maribou performing exactly like a tadpoles tail. On the pause, these fall very slowly through the water column just like a genuine tadpole. These catch all species of fish all year round but really excel in spring and early summer when there are plenty of genuine tadpoles in the water. 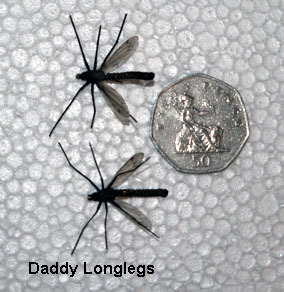 Sovereign “Real” Flies (3) - An extension of the above range. 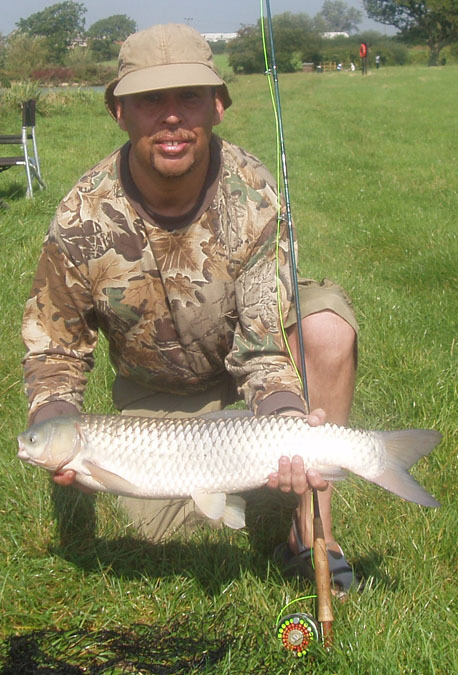 Pete Finnis with a grass carp caught on a “Real Fly Grasshopper” from a day ticket water in Sussex, which went a tad over 12 lbs. 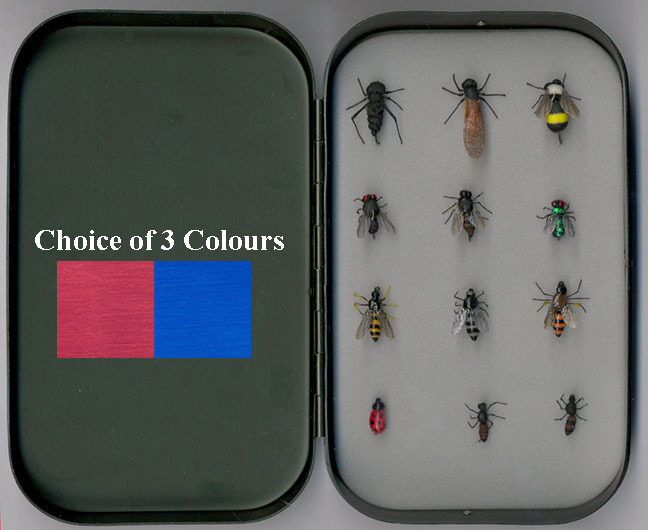 Sovereign “Real” Flies: These amazingly realistic flies are hand crafted for us in Serbia. 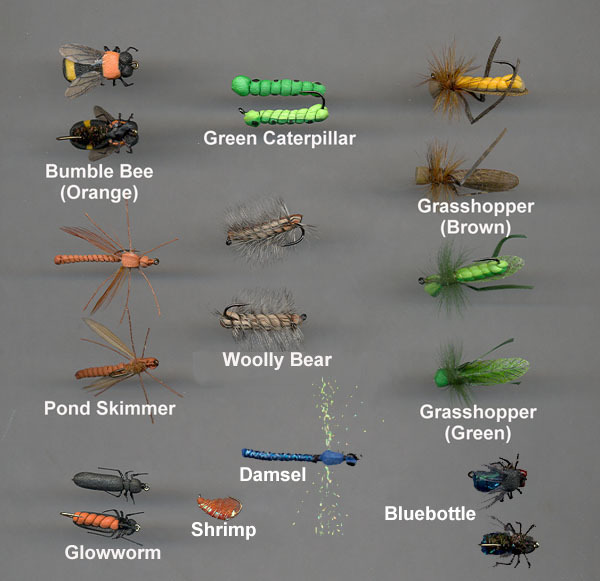 Designed and tied by fly anglers for fly anglers. 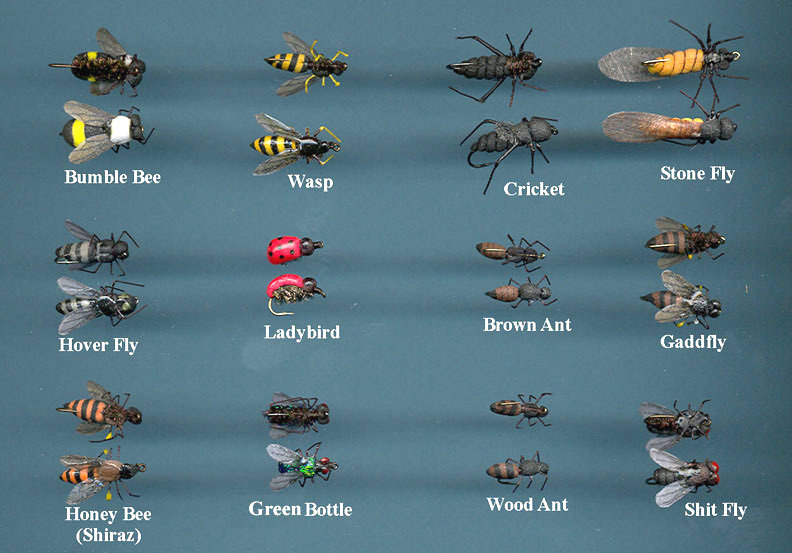 We have extensively tested these flies and not only do they take fish, they wear incredibly well. Originally designed for Chub fishing, they have also proved extremely attractive to all other fly eating species in the UK. Our best session consisted of seven species in one day: Rainbow and Brown Trout, Chub, Perch, Grayling, Dace and a Jack Pike. We have also had some outstanding sessions using these incredibly realistic flies for Carp on heavily pressured commercial waters. Our best result to date is three anglers fishing for six hours capturing 137 Carp with a total weight in excess of 750 kilos with over fifty other traditional carp anglers on the water witnessing this event.